We’re happy to present the Mailfence Release Notes March 2018 with several new features, improvements and fixes. Messages: whitelisting sender addresses or domains is now available to paying accounts. Note: emails containing a virus are discarded anyway. Documents: text files can be viewed within the application. 2FA: backup recovery code usage notification are sent to both user’s internal & external (password recovery/notification) email addresses. Messages: when replying/forwarding a message, original CID resources are kept and images do not disappear. Messages preferences: default font being displayed twice has been fixed. Shared mailbox: losing the context while opening a message in a separate window has been fixed. IMAP server: fix related to storing empty messages (breaking some IMAP clients) has been fixed. vCalendar, CalDAV: fix to invalid UTC datetime representation. Calendar, Security: XSS protection on some events attributes (solves UTF-8 issues as well…) has been added. Polls: participants with 2FA enabled and no active session can answer to polls. WebDAV server: improvements in connections established using Windows clients. WebDAV server: wrong (generic) MIME type when adding an OpenOffice file has been fixed. ActiveSync: wrong recipient display of names in Outlook 2013 has been fixed. ActiveSync: missing meeting organizer data in meeting participation has been fixed. SMTP server: reception of promotional emails has been improved. OpenPGP: detection of OpenPGP public key attachment types in incoming emails has been improved. OpenPGP: a passphrase can be set on unencrypted keypairs using Mailfence web interface. Calendar: layer color being changed while updating a layer event has been fixed. Calendar: event reminders in a group are now deactivated. Calendar: the issue of participants being ignored (none are invited) when one participant calendar is full has been fixed. Messages: email address(es) in ‘Cc’ are kept while drafting a message. Messages: large message signatures are supported. Calendar meeting invitations: the invitee will be restricted to not invite other participants and no such suggestions will be displayed to meeting participants. Images: some corrupted thumbnails have been fixed. Contacts: error message while trying to add a contact directly via the From field of a message has been fixed. Groups: selection of email addresses in search results has been improved. Hot-keys: shift-TAB works to go to the previous field while composing a message. An ‘XSS’ vulnerability in message body was fixed immediately after it got reported by Sabri Haddouche back in November-2017. We thank him for notifying us. A remote content blocking bypass was fixed immediately after it got reported by Jens Mueller back in February-2018. Full details can be found in this blogpost. We thank him for notifying us. 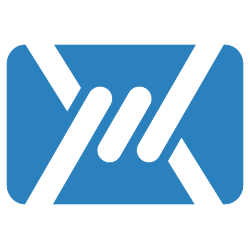 Check our previous Release Notes and feel free to report any found bugs/queries/suggestions to support (at) mailfence.com.